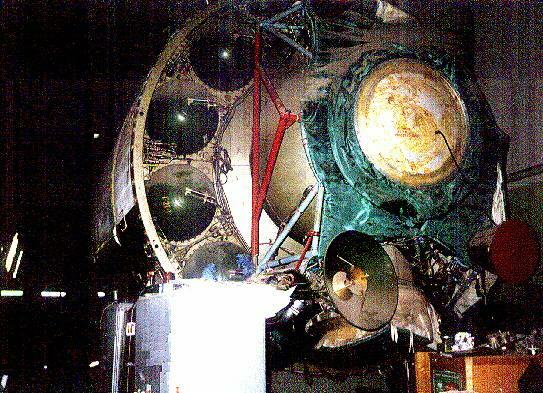 Salyut 3 in the shop before launch. Red plastic covers can be seen over the engine nozzles of the station orientation engines in the forward fuselage. The white fairing contains either the deployable whip antennae shown in drawings of the station or a primitive SLAR. The white fairing on the side is part of the cradle holding the station. Russian manned space station. Vladimir Chelomei's Almaz OPS was the only manned military space station ever actually flown. AKA: 11F71;Mech;OPS. Status: Operational 1973. First Launch: 1973-04-03. Last Launch: 1976-06-22. Number: 3 . Payload: 5,000 kg (11,000 lb). Thrust: 7.84 kN (1,763 lbf). Gross mass: 17,800 kg (39,200 lb). Unfuelled mass: 16,000 kg (35,000 lb). Specific impulse: 291 s. Height: 14.55 m (47.73 ft). Span: 17.00 m (55.00 ft). The stations were equipped with an unprecedented array of sensors for 'man-in-the-loop' observation and targeting of mobile ground targets. One was equipped with a space-to-space gun. In the end the station officially proved that manned systems were not a cost-effective method for space reconnaissance and targeting. But the Almaz station provided the basis for the Russian Salyut, Mir, and the International Space Station space station modules. The initial Almaz program planned in 1965 consisted of two phases. 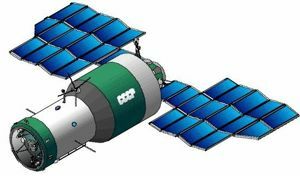 In the first phase, 20 metric ton Almaz APOS space stations, complete with crew and re-entry capsule, would be put in orbit by a single launch of a Proton rocket. In 1966 this plan was revised. The first phase would now consist of single-docking port Almaz OPS stations, visited by crews launched separately aboard 6.5 metric ton Soyuz transport vehicles. In this phase the value of manned space reconnaissance and targeting would be evaluated. Almaz flights were delayed in 1970 when resources were diverted in a crash program to modify Almaz into the civilian Salyut space station in order to upstage the American Skylab. Almaz first phase flights finally took place in 1973-1977. Four Soyuz crews successfully visited two Almaz stations. On December 10, 1963, US Secretary of Defense Robert McNamara announced the beginning of studies for a Manned Orbiting Laboratory (MOL) - a military space station. Within the Soviet Union, Vladimir Nikolayevich Chelomei's OKB-52 had been authorized in a 1 January 1965 decree to build a similar design - the Almaz APOS. The APOS - Autonomous Piloted Orbital Station - was equipped with a VA re-entry capsule. No dockings would be required in this phase. On 30 June 1966 Ministry of General Machine Building (MOM) Decree 145ss 'On approval of the 7K-TK as transport for the Almaz station' was issued. It was decided that the Soyuz-R space station would be canceled, as would the Almaz APOS. In their place the Almaz OPS, a version of the APOS without the VA reentry capsule and with a docking port, would be developed. Almaz was assigned the 11F71 index number previously allocated to the Soyuz-R station, and Kozlov was ordered to hand over to Chelomei all of the work completed in relation to the station. Kozlov's Soyuz 7K-TK ferry was to continue in development to transport crew to the Almaz OPS. G A Yefremov escorted the Soyuz-R material from Kozlov's Samara plant to Chelomei's TsKBM organization. The documents showed what a complex development was required to achieve the military's requirements. In Samara, work continued with release of the technical documentation of the 7K-TK. However due to delays in the Almaz all work on further development of the 7K-TK was suspended on 28 December 1966. These schedule changes were embodied in Military-Industrial Commission (VPK) Decree 104 'On changes in the timeline for the Almaz program and suspension of the 7K-TK'. The revised Almaz Phase A now consisted of launch of three OPS stations without VA re-entry capsules. Three two-month expeditions would be launched to each station aboard 7K-TK transports. Each station of the initial series was to have a life of three to four months. Two decrees during the course of 1967 reinforced these decisions and set an aggressive schedule of initial flight tests of Almaz-A/Soyuz 7K-TK in 1968 and entry of the system into service in 1969. (these were Ministry of General Machine Building (MOM) Decree 'On approval of work on Almaz' was issued on 9 February 1967 and Central Committee of the Communist Party and Council of Soviet Ministers Decree 'On full approval of the Almaz and 7K-TK programs' on 1 June 1967). 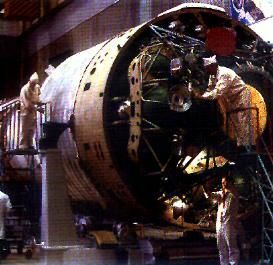 On 21 June 1967 the Military-Industrial Commission (VPK) Decree 'On approval of the Almaz draft project' was issued, followed by Central Committee of the Communist Party and Council of Soviet Ministers Decree 'On schedule of work on the Almaz space station' on 14 August. The revised program seemed on track for an early test flight. Almaz program development was overseen by the State Committee for Flight Technology, P Dementiev, Chairman. Chelomei's revised Almaz draft project was presented to the Fourth Trials Directorate at Baikonur Cosmodrome in January 1968. First launch did not now seem possible until 1969. Chelomei continued to have difficulty maintaining top-level support for Almaz as the project met delay after delay. While Khrushchev was in power, Chelomei was ascendant - Sergei Nikitovich, the Secretary General's son, worked at his firm. But Chelomei was not seen as an experienced politician and had belittled Council of Ministers Deputy Chairman Dmitri Ustinov. When Brezhnev took power, Ustinov became the Communist Party Central Committee Secretary for Defense. Chelomei's influence waned. The official schedule for Almaz was held until 1969, when it became apparent that delays in subsystems deliveries would rule out any first flight until 1970. 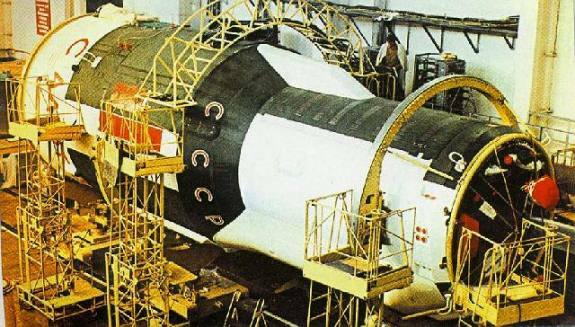 The mock-up of Almaz had been completed at Reutov in 1968 while production of station hulls was proceeding at Fili Factory 22. For Chelomei's ex-Myasishchev engineers, designing and building the structure of the station was trivial. However Almaz had a number of ambitious military and guidance systems that were desperately behind schedule. There was the large Agat camera, which was capable of infrared detection, could be controlled by the cosmonauts. Using 'space binoculars' to determine if a target was clear and of interest, the entire array of sensors could be directed toward the target. Parts of the earth covered by cloud were examined using side-looking radar. All of this required high-precision guidance and orientation of the station. The station had to be pointed precisely for the target run while the panels remained oriented to the sun. Chelomei developed the necessary complex guidance system within his own collective. His design bureau worked with VNIIEM on an electromechanical system of orientation using spherical gimbals and flywheels with great kinetic momentum ('gyrodynes'). These electrically-powered gyrodynes could point the station with great precision without the expenditure of propellant. Chelomei was also developing the Argon digital computer at the All-Union Institute of Digital Electronic Computer Technology (VNITsEVT). This computer was not in fact launched until 15 years later, for use aboard Mir! All of the technology for the Almaz station was similarly taking much longer than Chelomei expected. Therefore in the course of 1969 station spaceframes were being completed, but systems assembly had not even begun. Other threats to the project's survival emerged. On 10 June 1969 President Nixon announced cancellation of the USAF MOL military space station program. The original impetus for development of Almaz was eliminated at a stroke. On 3 July 1969 the second Soviet N1 lunar launch vehicle blew up on the pad. 17 days later, Neil Armstrong stepped onto the moon, winning for the Americans the moon race. With the collapse of the work on the N1, the whole reason for Mishin's design bureau's existence simply vanished in the air. A new high-priority project was needed. Korolev had begun development of a Multi-Module Space Base (MKBS) before 1966. However MKBS was to be launched by the N1; as long as this was not available, there would be no MKBS. Almaz on the other hand did not require a new launch vehicle, although the UR-500 was in a period of intense 'baby sickness'. So while TsKBEM was in a period of analysis and instability, Reutov and Fili were building space station for the Ministry of Defense. 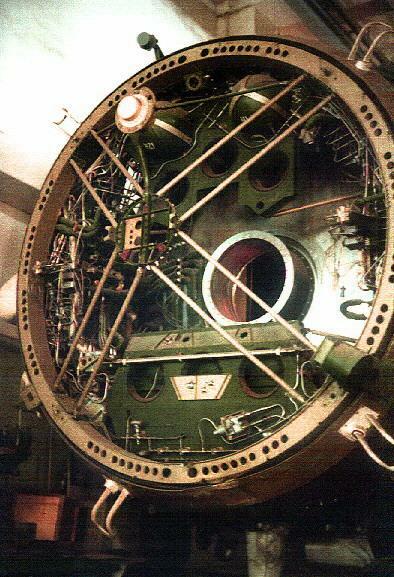 On one of these August 1969 days, three TsKBM engineers came to the office of Mishin's deputy, Chertok, with a plan to take an Almaz spaceframe, install Soyuz systems, add a new docking tunnel with a hatch to reach the interior, and presto - a space station was finished. Tentative discussions with potential allies within Chelomei's design bureau found support there as well. The DOS 'long-duration orbiting station' was the result of this 'conspiracy'. At the end of 1969 Chelomei's Khrunichev factory had built 8 Almaz test stand and two flight articles. A Special Contingent within Chelomei's design bureau was formed at the end of 1968 to conduct crew tests on the ground of the stations in phase one and to make flights to Almaz in the second phase. Three-man crews had already been formed. They would conduct real-time tests on the ground during the flight and advise the flight crew of any problems. The DOS 'conspiracy' came out in the open on 6 December 1969 at a key meeting of Chief Designers. Afanasyev started with the demand that an Almaz flight take place within less than two years, before the end of the Eighth Five Year Plan. He asked Eydis (Chelomei's representative) to install an Igla passive docking system to permit docking with the station of the existing Soyuz 7K-OK as opposed to the planned 7K-S. If Chelomei's bureau could not meet this requirement, then the 'conspirator's' DOS project could be authorized in its place. An extensive discussion of the future course of the Soviet manned space program followed. Eydis pleaded that the Almaz program not be infringed upon. If an early station was desired, completion of an Almaz could be started on 1 January. The station would not have any military systems or ECS ready, but could be modified for docking with a 7K-OK. He noted that work on Almaz had been underway since 1965, all based on the requirements of the Ministry of Defense. TsUKOS and the General Staff wanted to conduct research in reconnaissance systems - infrared, wide-spectrum, high resolution, and television transmission. Their objectives went far beyond launch of a simple space station. Throughout these discussions Afanasyev did not praise or criticize any of the speakers. Obviously he had to formally discuss the matter with Ustinov before any decision could be made. The decisive meeting came on 26 December 1969. Ustinov called the DOS 'conspirators' to Kuibyshev Street. Mishin was sent away to Kslovodsk and Chelomei and Glushko were not invited. No one wanted to listen to any more of Glushko's diatribes about Kuznetsov's engines. Ustinov supported presentation of the DOS concept to the Central Committee. Chelomei categorically opposed DOS and was trying to kill it through military channels. But the allure of an '18 month' station - one which would not only beat the American Skylab, but be in space in time for the 24th Party Congress - seemed too alluring. Mishin also rejected DOS, but deputies at both design bureaus supported the concept and were eager to proceed. DOS was therefore created only when the moon project failed. Chelomei was forced to work on DOS, and it severely impacted Almaz schedules. The Salyut name was later applied to both the DOS and Almaz stations, creating the impression in the outside world that they were built by one designer. This deception was a constant weight on the heart of the designers and workers who had to accept the compromise. The official ministry decrees starting the DOS and reorganizing the Almaz projects were issued in February 1970. The cooperative DOS crash program was to build a civilian space station to beat Skylab into orbit. The civilian station (later named Salyut) would use the Almaz spaceframe fitted out with Soyuz functional equipment. Mishin's OIS military station was canceled and Chelomei's Almaz would continue, but as second priority to the civilian station. The Soyuz 7K-S station ferry, the 7K-ST, would be revised to be a more conservative modification of the Soyuz 7K-OK. The OIS cosmonaut group was to be incorporated into the Almaz group. The relevant Ministry of General Machine Building (MOM) Decree 105-41 'On creation of the DOS using Almaz as a basis' was issued on 9 February, followed by Decree 57ss 'On creation of the DOS using Almaz as a basis' on 16 February. The first station was to be completed within a year. On 15 February Ustinov had conferred with the Cabinet. They agreed that work would continue on both the lunar expedition and DOS. A formal declaration from Mishin and Chelomei to work together was required. On 5 May 1970 Smirnov and Afanasyev settled the future course of manned spaceflight at a DOS project review. Almaz and DOS would continue in the short term, but MKBS would follow in earth orbit. Mishin's attempt to replace Almaz with his DOS-A design was defeated. In parallel with DOS work Khrunichev started static, vibration, and thermal tests of the Almaz. In the second half of 1971 the first phase station design was changed from three crew to two crew. This was due to a reduction in crew size of the Soyuz 7K-T ferry crew seize after the death of the Soyuz 11 crew. Design work began on the TKS had actually begun in 1969. To assure reliability all systems were qualification tested on dynamic, static, heat, and flammability test stands. These included complete ECS, docking, rendezvous, and electrical analogue system tests. At Zagorsk test stands were built for the payloads, engine tests, and vacuum trials. At Chkalovsk ECS and thermo-regulation system trial were conducted. Full scale stand was built for testing of the docking system as well as a full scale VA. The Almaz DU engine unit was based on Polyot technology by Section 08-08, headed by Sergei Vladimirovich Yefimov. 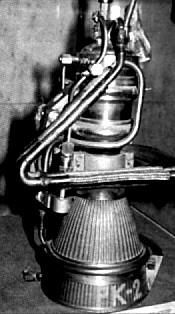 Development was very difficult, and when the time came for the first launch the State Commission wouldn't clear the spacecraft for launch because the engine system had not completed its test series at Zagorsk. Only when Chelomei threatened to take the matter to the Politburo was permission granted. The reliability of the system was ultimately proven on Almaz 305, which completed 760,000 engine firings. The DU was controlled by 30 pressure data sensors and 60 temperature sensors. Dozens of radio commands were required to monitor, close, and open various elements of the system for each firing. Prior to flight the system was subjected to static, vibration, thermal vacuum, cold-soak, and flammability tests. Vibrations tests were conducted of the whole system fueled. These took many months. In assembly at the factory one tube was incorrectly assembled. Afanasyev and Chelomei went to the factory, and instructed that ten duplicate articles be tested in vibration and fire. These conclusively showed the incorrectly assembled element would not affect the system function. These tests included the first test of the DU in a vacuum chamber, where corrosion problems were studied in detail. Reliability, reliability was the constant refrain. Once it appeared that there was fire aboard the station; but it turned out only to be a sensor failure. Collaboration of the two chief designers did lead to some agreements, although these were contrary to government decrees. Chelomei was anxious to develop Almaz while Mishin wished to move on with the N1 booster to MKBS and the moon. On 3 February 1972 Mishin and Chelomei sent a joint letter to Afanasyev. They proposed that Almaz would take over the DOS role as a civilian station after the four DOS-1's had been launched. Faced for once with a show of unanimity, Afanasyev rejected the plan. He replied that under no circumstances was Almaz to be used for scientific research. On the other hand, DOS would require substantial rework to be capable of military research. Therefore, the designers were to keep to original plan. Meanwhile progress toward completion of the first flight Almaz was accelerating. Initial equipment to be qualified were the STR Thermoregulation System and SNIP Pressurization Control System. These had to be tied into the ECS and installed in phase 1 article 4, s/n 64688, as well as the 'docked' 7K-T mock-up. For these trials two cosmonaut crews rotated shifts over a 90 day stand test. This was completed on 21 April 1972. By June 15, 1972 the first Almaz was reaching a high level of completion and firm flight schedules could be finally be established. These were contained in Ministry of General Machine Building (MOM) Decree 'On schedule of work for the Almaz and TKS programs'. On 29 July a Proton rocket failed to place the second DOS station into orbit. Brezhnev then personally selected Almaz for the next space station launch. There was just enough time to beat the scheduled to beat the American Skylab station, scheduled for launch in April 1973. OPS-1 / Salyut 2 was delivered to Baikonur in January 1973. The first ten day flight trials of the first OPS were planned for March 1973. On 21 November 1972 Chelomei was notified that launch would be delayed due to aircraft trials of a revised backup parachute system for the Soyuz 7K-T ferry. It was commonly believed that Mishin was intentionally delaying these tests to make Chelomei miss his schedule. 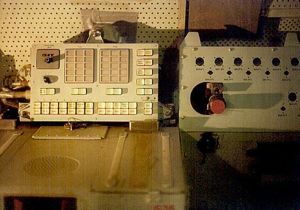 The Soyuz 7K-T 11615A-8 differed in detailed equipment from the Soyuz 7K-T 11615 model used to dock with the civilian DOS stations. This included control panels for operation of Almaz electrical systems by remote control from aboard the Soyuz. Almaz 0101-1 was delivered to Baikonur on 15 December 1972. The flight trials State Commission was established by the decree 888-303 of 27 December 1972 and was headed by Deputy Commander of the RVSN rocket forces, Col-Gen M A Grigoriev. Trials of the OPS were conducted at Chelomei's Area 92-2 (laboratory bunker area), with electrical and integration tests at Area 92-1 (Proton MIK), prior to joining the station to the rocket. The station was also moved to Mishin's MIK KO and MIK at Area 2B and 2 for fitting of the Igla rendezvous equipment, vacuum trials and fit checks with the Soyuz 7K-T. Full-up system tests of Almaz began in January 1973. Fueling of the station were done back at Chelomei's Area 91 at the 91-2 and ZNS 11G141 propellant facilities. Preparation of Almaz for flight met fully all military requirements for radio maskirovka deception operations. 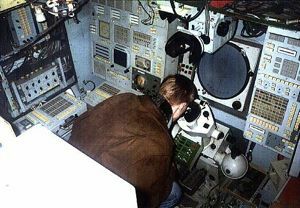 The ground-based analogue OPS , 11F71-100, was readied for use by a parallel crew to mime the flight activities of Salyut 2. The 7K-T electrical system did not have the capability to provide full function unless recharged by the OPS for 2 to 3 days after docking. Therefore he recommended that Almaz should be unmanned (!) for Phase I flights until the TKS was available. Chelomei's recommendations was not taken up, but it appeared that Mishin did respond to pressure on the re-qualification of the Soyuz parachute system. Almaz was ready for launch on 1 March 1973 but planned launches on 5 , 15, and 25 March were scrubbed due to Mishin's Soyuz not being ready. Almaz 0101-1 finally entered orbit under the cover name Salyut 2 on 3 April 1973. The first 12 days of operation were normal. 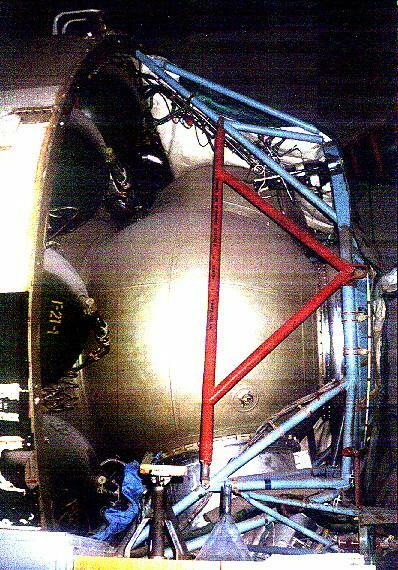 Two orbital corrections were made, and the Agat camera and ASA-34 topographical/star camera were operated successfully. But before a crew could be launched the station was lost. At 12:30 Moscow time on 14 April the station moved out of tracking range. When it returned at 03:16 telemetry showed the station had de-pressurized. On 16 April at 09:12 radio communications with the station ceased. 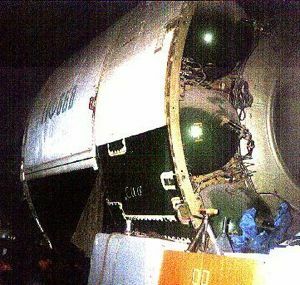 At first the station loss was attributed to a short in electrical equipment started a fire in pressure vessel, leading to rupture of hull and de-pressurization. This would be consistent with the fire in Salyut 1. But study of telemetry later showed that the cause was a hole in the nitrogen tank of the engine unit pressurization system. This prevented operation of the low thrust stabilization engines and elevated temperatures in the bay, causing loss of proper radio telemetry, de-pressurization, and then loss of main engines. It was theorized that debris from an explosion of the third stage of the Proton booster may have penetrated the nitrogen tank. Officially it was reported that control was lost on April 25, 1973, and the OPS ceased operations on 29 April. The same day that communications were lost with Salyut-2 the American Skylab station was rolled out to the pad. It was launched a month later and the Soviet Union lost the chance to conduct the first fully successful space station mission. 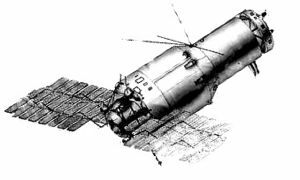 Salyut 2 decayed from orbit and re-entered on 28 May 1973 in the Pacific Ocean 3000 km east of New Guinea..
Had the station continued in operation, it would have been manned by two crews: Artyukhin and Popovich aboard Soyuz 12 (back-ups Volynov, Zholobov), followed by Demin and Sarafanov (backups Rozhdestvensky and Zudov) aboard Soyuz 13. Following three successful Skylab missions came the shocking news that Mishin had been authorized to build a new-design fifth DOS station using Almaz facilities. Chelomei wrote a bitter letter to Afanasyev on 28 December 1973. He noted that the K-00534 TTT requirements for Almaz of the Ministry of Defense envisioned a two phase program. Instead his Khrunichev ZIKh factory was hijacked for DOS production. Now it had been further assigned to build DOS-5 for Mishin. Therefore, he concluded that the first phase of Almaz could not be completed. He asked Afanasyev how to resolve this situation. The second Almaz was launched as Salyut 3 on 25 June 1974. Following the successful Soyuz 14 and unsuccessful Soyuz 15 missions, on 23 September 1974 the station ejected a KSI film return capsule, which was recovered damaged but with the film intact. On 25 January 1975 Salyut 3 fired its maneuvering engines for the last time and braked itself from orbit over the Pacific Ocean. The station had a planned life of eight months and had the special objective of locating and transmitting to the ground the coordinates of mobile objects at sea and in the air. For this purpose 14 type of photo cameras, and various optical sensors (pointing scope, panoramic viewer, periscope) were carried as well as infrared sensors. Semi-active radar (SAR) was not flown but was planned in the future. Salyut 3 was equipped with the Agat-1 camera, which had a 6.375 m focal length using 3 m folding optics, an OD-4 Vzor pointing scope, POU panoramic camera, as well as topographic and star cameras. In addition its Volga infrared apparatus had a 100 m resolution. The Vzor OD-4 could sight an object at sea, then train all of the sensors on that object. Skylab was visually hunted by the station using the Sokol instrument, demonstrating use of the sensor array in space-to-space warfare and reconnaissance. Of the 17 orbits per day the station would fly, seven did not pass over the USSR and were useless for communication. To fill the gap two tracking ships were used for Salyut 3. The vessel Cosmonaut Yuri Gagarin was stationed off Sable Island in the Atlantic, at 51 deg N, which provided 5 to 6 orbit per day coverage. The ship Cosmonaut Vladimir Komarov was stationed off Cuba, at 21 deg N, and provided coverage on 2 orbits. The result was communications opportunities on every orbit. On 4 July 1974 Soyuz 14 docked with the Salyut 3 space station after 15 revolutions of the earth and began the first military space station mission. The planned experimental program included manned military reconnaissance of the earth's surface, assessing the fundamental value of such observations, and some supplemental medico-biological research. All objectives were successfully completed and the spacecraft was recovered on July 19, 1974 at 12:21 GMT, landing within 2 km of the aim point 140 km SE Dzhezkazgan. After the crew's return research continued in the development of the on-board systems and the principles of remote control of such a station. 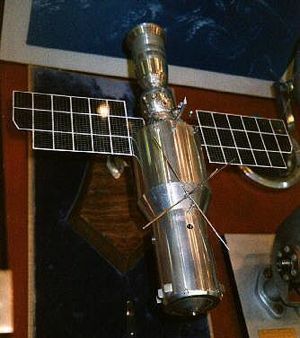 In August 1974 Soyuz 15 was to conduct the second phase of manned operations aboard Salyut 3, but the Igla rendezvous system failed and no docking was made. As Chelomei had complained, Soyuz had no reserves or backup systems for repeated manual docking attempts and had to be recovered after a two-day flight. The state commission found that the Igla docking system of the Soyuz needed serious modification. This could not be completed before Salyut 3 decayed. Therefore the planned Soyuz 16 spacecraft became excess to the program (it was later flown as Soyuz 20 to a civilian Salyut station, even though over its two year rated storage life). The Salyut 3 KSI film capsule was ejected on 23 September 1974 but suffered damage to the landing sequencer from the hot plasma sheath generated during re-entry. Therefore the heat shield did not separate, nor did the main parachute open. The capsule was deformed by the hard landing but all the film was recoverable. On 24 January 1975 trials of a special system aboard Salyut-3 were carried out with positive results at ranges from 3000 m to 500 m. These were undoubtedly the reported tests of the on-board 23 mm Nudelman aircraft cannon (other sources say it was a Nudelman NR-30 30 mm gun). Cosmonauts have confirmed that a target satellite was destroyed in the test. The next day the station was commanded to retrofire to a destructive re-entry over the Pacific Ocean. Although only one of three planned crews managed to board the station, that crew did complete the first completely successful Soviet space station flight. The second successful Almaz phase 1 flight, Salyut 5, was launched on 22 June 1976. It had taken only 60 days and 1450 man-hours to prepare Almaz 0101-2 for flight, using the services of 368 officers and 337 non-commissioned officers. The station operated for 409 days, during which the crews of Soyuz 22 and 24 visited the station. The tracking ships Academician Sergei Korolev and Cosmonaut Yuri Gagarin were stationed in the Atlantic and Caribbean to provide communications when out of tracking range of the USSR. Soyuz 23 was to have docked but its long-distance rendezvous system failed. Soyuz 25 was planned, but the mission would have been incomplete due to low orientation fuel on Salyut 5, so it was canceled. The film capsule was recovered 22 February 1977 (and sold at Sotheby's, New York, on December 11, 1993!). The station was deorbited on 8 August 1977. Soyuz 21 with Volynov and Zholobov aboard hard-docked with the station on 6 July 1976 after failure of the Igla system at the last stage of rendezvous. Towards end of the two month mission an early return to earth was requested due to the poor condition of flight engineer Zholobov (who was suffering from space sickness and psychological problems). The crew landed in very bad physical and mental condition 200 km SW of Kokchetav on August 25, 1976 at 18:33 GMT. It was determined that they had become emotional, not followed their physical training, and developed an unreasonable desire to return to earth. The possibility also existed that there were toxic gases in the station. The hard-luck flights continued with Soyuz 23 on 14 October 1976. The ferry spacecraft, with Rozhdestvensky and Zudov aboard, suffered a docking system failure. Sensors indicated an incorrect lateral velocity, causing unnecessary firing of the thrusters during rendezvous. The automatic system was turned off, but no fuel remained for a manual docking by the crew of . The capsule landed in Lake Tengiz in -20 deg C conditions in a snowstorm. The wet parachute filled and dragged the capsule below the surface, cooling the capsule. Heating systems had to be turned in the capsule to conserve battery power. Amphibious vehicles attempted to recover the spacecraft but could not reach it. Finally swimmers managed to attach a cable to a helicopter. The capsule was dragged for kilometers across the icy sea. Only in the morning was the crew able to emerge from the capsule. The recovery crews were surprised they were still alive. Soyuz 24 brought repair equipment and equipment for a change of cabin atmosphere. This special apparatus was designed to allow the entire station to be vented through the EVA airlock. Because of this the planned EVA was canceled. However analysis after arrival showed no toxins in the air. The crew changed the cabin air anyway, then returned to earth. The mission, although a short 18 days, was characterized as busy and successful mission, accomplishing nearly as much as the earlier Soyuz 21's 50 day mission. The Soyuz was recovered February 25, 1977 9:38 GMT 37 km NE Arkalyk. The KSI film return capsule followed them a day later and was recovered successfully. It was sold at Sotheby's in 1993 and was donated to the US National Air and Space Museum. As on Salyut 3, during the flight of Salyut 5 a 'parallel crew' was aboard a duplicate station on the ground. They conducted the same operations in support of over 300 astrophysical, geophysical, technological, and medical/biological experiments. Astrophysics studies included an infrared telescope-spectrometer in the 2-15 micrometer range which also obtained solar spectra. Earth resources studies were conducted as well as Kristal, Potok, Diffuziya, Sfera, and Reatsiya technology experiments. Presumably Salyut 5 was equipped with a SAR side-looking radar for reconnaissance of land and sea targets even through cloud cover. A third crew was to be launched to the station aboard Soyuz 25 but the flight was canceled. It seemed that propellant reserves aboard the station had dipped too low to support another mission; in the opinion of Glushko (Mishin's successor). He therefore refused to ready another Soyuz for the mission. The spacecraft allocated for Soyuz-25 flew as Soyuz 30 to a civilian Salyut station. This marked the end of Almaz Phase 1 and a state commission reviewed the results. The P-100 antenna demonstrated radio communications and photo television transmission of information to within 4 deg of the horizon (7 deg specification) at ranges of up to 1500 km . Photographic resolution was 15 to 20 lines/mm. The Pechora-1 television imagery transmission system worked well. All communications demonstrated, including: relay of data via Molniya-1 satellite when the station was out of sight of the USSR; automated processing of telemetry; and clear television downlink to the TsUP ground control center and Ostankino tracking center. Stage 1 trials were therefore declared to be successfully completed and decrees 46-13 of 19 January 1976 and 534-165 of 27 July 1996 allowed long-term use of station to proceed. Articles 104 and 105 released for use as production Almaz-2 stations. However the overall results of the Salyut 3 and 5 flights were said to have demonstrated to the Soviet military that manned reconnaissance was not worth the expense. There was minimal time to operate the equipment after the crew took the necessary time for maintenance of station housekeeping and environmental control systems. The experiments themselves showed good results and especially the value of reconnaissance of the same location in many different spectral bands and parts of the electromagnetic spectrum. However this technology could best be exploited on unmanned satellites. Crew Size: 2. Orbital Storage: 410 days. Habitable Volume: 100.00 m3. RCS Coarse No x Thrust: 14 x 98 N. RCS Fine No x Thrust: 8 x 10 N. RCS Coarse Backup No x Thrust: 4 x 98 N. RCS Fine Backup No x Thrust: 4 x 10 N. Spacecraft delta v: 300 m/s (980 ft/sec). Electric System: 3.12 average kW. Family: Soviet Space Stations, Space station, Space station orbit. Country: Russia. Engines: RD-0225. Spacecraft: OPS + TKS. Launch Vehicles: Proton, Proton-K. Propellants: N2O4/UDMH. Launch Sites: Baikonur, Baikonur LC81/23. Agency: Chelomei bureau, MOM. Bibliography: 120, 163, 181, 191, 2, 274, 367, 376, 439, 443, 445, 474, 6, 67, 76, 12038. Model of Almaz station as flown in Phase 1 at the Chelomei Bureau. Forward view of the Almaz. In the original design, the forward tunnel would have led to the aft hatch of the VA crew return capsule. The station was flown without this capsule, a Soyuz being used to shuttle them to the station and back to earth. In the OPS-2 design this hatch led to a forward airlock, with a second docking collar for either TKS or Soyuz ferries. Aft view of the Almaz, showing the propellant tanks and the '11F668' article number on its side. While this number was used for Almaz-T radar satellites, this station, stored at MAI, has the internal systems of the Phase 1 Almaz. It may have been the s/n 100 ground simulator converted to an Almaz-T mock-up. Aft view of the Almaz, showing the airlock, ringed by propellant tanks. The KSI capsule ejection airlock juts out below the main docking hatch. A red plastic cover is seen over the engine bell of one of the two RD-0225 main engines. The downlink antenna of the Grafit communications system is on the lower left. 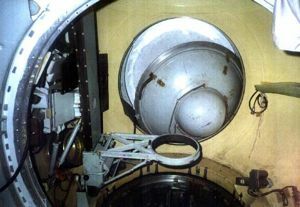 Side view of Almaz showing transition section globular air lock, with the KSI capsule airlock jutting out at an angle below, while the EVA tunnel extends at an angle to the top. Almaz transition section airlock, with the female docking cone for use with the Soyuz or TKS. At the bottom is the KSI airlock, used to jettison small capsules to return film to earth during the flight. 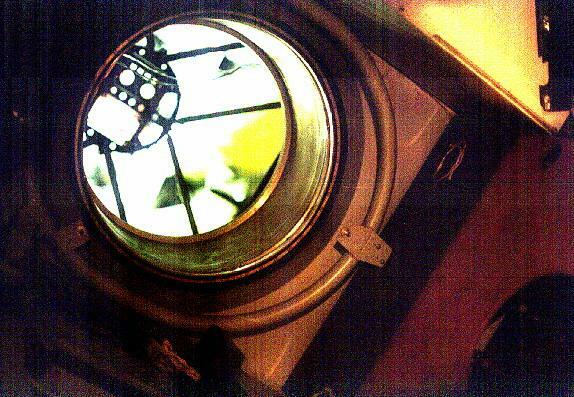 The EVA hatch for spacewalks was located on the ceiling, out of sight. Almaz forward tunnel. In the original design this led to the hatch in the heat shield of the VA crew return capsule. The Salyut 3 station is protected with silver insulation blankets, which will be removed before launch. The large housing containing either the deployable whip antennae or the primitive SLAR is visible on the small-diameter section. The Almaz space station�s instrument panel in the small diameter section for controlling and observing extra-vehicular activity. A television monitor of the Albatros system provides views of the exterior of the station. This was mounted on the opposite wall across from the main control station. The crew station for the reconnaissance cameras of the Almaz military space station. The eyepiece of the Sokol-1 PKO Circular Observing Periscope is at top, followed by the enormous 340 cm diameter view plate of the POU-11 Panoramic Survey Unit. The operator is looking into the sight of the OD-5 Telescope Optical System. Hand controls for pointing of the cameras and triggering of the cameras are at either side of the OD-5 sight. 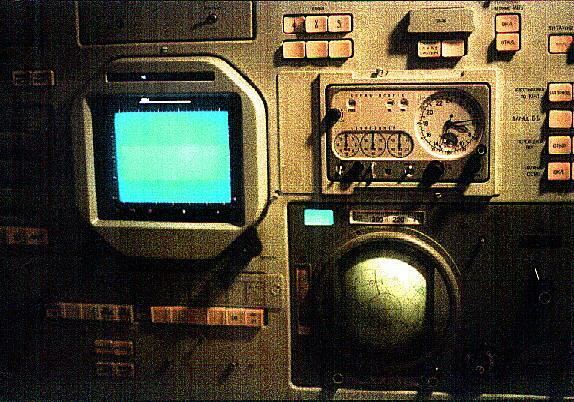 The panel to the left of the POU-11 display contains typical Soyuz instrumentation: clock, earth globe instrument showing current station position, displays of the Igla docking system, and a multipurpose television monitor of the Albatros external television system. To the operator's left are panels of the BIPS On-board Information Distribution System. The main console for operating the Almaz space station, placed to the left of the camera operation console. The familiar instruments found in Soyuz and the civilian Salyut space stations are all present - clockwise from upper left: The Albatros combined video / radar display for rendezvous and docking, and on Almaz, for external views of the station; the clock; the earth globe instrument for displaying position over the earth; the controls for calling up automatic spacecraft command sequences. Another Almaz control station, located in the station forward of the camera. Purpose unknown. 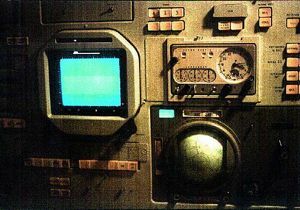 Close-up of the main console for operating the station, with the familiar Soyuz-type globe, clock, and external television/radar scope instruments. 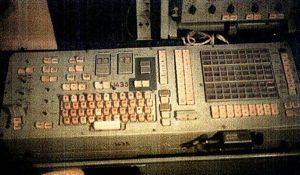 Communications console of the BIPS On-board Information Distribution System of the Almaz, including keyboard. This was mounted to the left of the main space station control console, and allowed encrypted teletype communications with the earth as well as burst update of plans and procedures from the ground. An Almaz station being prepared for flight at the Khrunichev Factory in Moscow. The Almaz military station was first successfully launched into space as Salyut 3 in June 1974. The one meter diameter 'Agat' telescope could photograph airfields and missile complexes. There were also infrared and topographical cameras. A Nudelman cannon provided an active defence system in the event of an attack by an Apollo spacecraft. The Soviet military, based on the results of the Salyut 3 and 5 Almaz flights, lost interest in manned military space stations. Almaz - configuration as flown on Salyut 3 / Salyut 5 with Soyuz ferry craft. Almaz - configuration as flown on Salyut 3 / Salyut 5. The Almaz station as flown during Phase 1 of the programme (Salyut 3 and 5). Rare drawing of Salyut 3 Almaz space station. From left to right, docking port surrounded by manoeuvre engines and solar panels; main station body; forward ring with orientation engines. 1966 March 30 - . Soyuz R Cancelled; Soyuz 7K-TK to be ferry to Almaz station - . Nation: Russia. Related Persons: Chelomei, Kozlov. Spacecraft: Almaz OPS, Soyuz 7K-TK, Soyuz R.
Ministry of General Machine Building (MOM) Decree 145ss 'On approval of the 7K-TK as transport for the Almaz station' was issued. It was decided that the 11F71 Soyuz-R space station would be cancelled and the Almaz would be developed in its place. Almaz was assigned the index number previously allocated to the Soyuz-R station, and Kozlov was ordered to hand over to Chelomei all of the work completed in relation to the station. However Kozlov's Soyuz 7K-TK ferry was to continue in development to transport crew to the Almaz. 1966 September 2 - . Cosmonaut military program training groups - . Nation: Russia. Related Persons: Artyukhin, Belousov, Belyayev, Beregovoi, Demin, Filipchenko, Gubarev, Gulyayev, Kolesnikov, Kuklin, Lazarev, Matinchenko, Popovich, Shatalov, Shonin, Titov, Volynov, Vorobyov, Zaikin. Program: Voskhod, Almaz. Flight: Soviet Lunar Landing, Soyuz 1, Soyuz 2A, Soyuz 7K-L1 mission 1, Soyuz 7K-L1 mission 2, Soyuz 7K-L1 mission 3, Soyuz s/n 3/4, Soyuz s/n 5/6, Voskhod 3. Spacecraft: Almaz OPS, Soyuz VI, Spiral OS, Voskhod. Voskhod: Volynov, Shonin, Beregovoi, Shatalov. Spiral: Titov, Kuklin, Filipchenko, Beregovoi, Shatalov. 1966 September 7 - . Cosmonaut group leaders - . Nation: Russia. Related Persons: Anokhin, Belyayev, Gorbatko, Grechko, Khrunov, Kubasov, Popovich, Pravetskiy, Severin, Volkov, Yeliseyev. Program: Soyuz, Almaz. Flight: Soyuz 1, Soyuz 2A. Spacecraft: Almaz OPS, Soyuz 7K-L1, Soyuz VI, Yastreb. Volkov, Grechko and Kubasov believe they can complete cosmonaut training in two months. Of course they know space technology, but Kamanin informs them that, with intensive training, they might be ready in one or two years. Popovich is assigned as leader of the Soyuz VI military spacecraft training group, and Belyayev as head of the Almaz military orbital station training group. Kaminin tells Severin to complete spaceuits for Khrunov and Gorbatko, but to ignore Mishin's orders to prepare suits for Anokhin and Yeliseyev. Anokhin has already been rejected due to his age and health, and Yeliseyev is still being tested. Kamanin reviews draft test programs for the UR-500K/L1 and N1-L3. He lines out statements inserted by Pravetskiy on joint training of cosmonauts by the MOM, Ministry of Public Health and VVS. 1966 October 13 - . Almaz status review. - . Nation: Russia. Related Persons: Chelomei, Kuznetsov, Tereshkova. Program: Almaz. Spacecraft Bus: Almaz. Spacecraft: Almaz OPS. Tereshkova departs for a tour of Belgium. General Kuznetsov accompanies a group of cosmonauts to visit Chelomei's design bureau to review progress on the Almaz military space station. Each station will remain in orbit for two years, with the crews being changed out every two months. Kamanin believes the ability of a crew to operate in zero-G for two months is not proven; he will assume the crew will have to be changed every two weeks. This would mean that per year of operation, 25 crews and 25 boosters for their delivery to the station would be required. If each crew could fly 2-3 times, per year, then even in this worse case scenario, 10 crews would be enough to keep the station manned. 1966 December 28 - . Launch Vehicle: UR-700. Almaz and LK-700 development status - . Nation: Russia. Related Persons: Chelomei, Smirnov, Ustinov. Program: Almaz, Lunar L1, Lunar L3. Spacecraft: Almaz OPS, LK-1, LK-700, Raketoplan. 1966 December 28 - . Almaz program delays; Soyuz 7K-TK suspended - . Nation: Russia. Spacecraft: Almaz OPS, Soyuz 7K-TK. Military-Industrial Commission (VPK) Decree 104 'On changes in the timeline for the Almaz program and suspension of the 7K-TK' was issued. 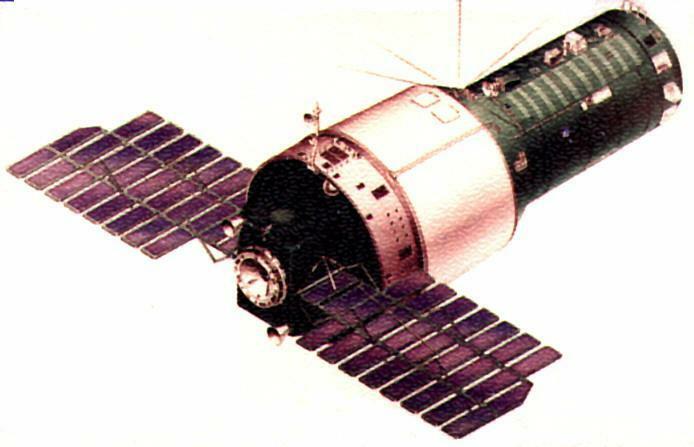 Due to delays in the Almaz all work on further development of the 7K-TK was suspended..
1967 January 5 - . Cosmonaut training status - . Nation: Russia. Related Persons: Brezhnev, Titov. Program: Lunar L1, Soyuz, Almaz. Spacecraft: Almaz OPS, Soyuz 7K-L1, Soyuz 7K-OK, Soyuz VI, Voskhod. 1967 February 9 - . Almaz space station begun. - . Nation: Russia. Spacecraft Bus: Almaz. Spacecraft: Almaz OPS. Ministry of General Machine Building (MOM) Decree 'On approval of work on Almaz' was issued..
1967 June 1 - . 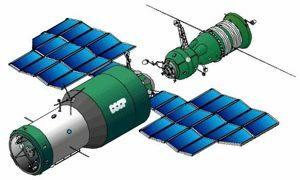 Development plan for the Almaz station and Soyuz 7K-TK ferry - . Nation: Russia. Spacecraft: Almaz OPS, Soyuz 7K-TK. Central Committee of the Communist Party and Council of Soviet Ministers Decree 'On full approval of the Almaz and 7K-TK programs' was issued. Use of the 7K-TK ferry with the Almaz station continued as the project baseline. It was scheduled that the Almaz/Soyuz 7K-TK system would be tested in 1968 and enter service in 1969. 1967 June 21 - . Almaz draft project approved. - . Nation: Russia. Related Persons: Chelomei, Kozlov. Spacecraft: Almaz OPS, Soyuz 7K-TK. Military-Industrial Commission (VPK) Decree 'On approval of the Almaz draft project' was issued. Chelomei's draft project showed the 11F71 Almaz station to consist of an 11F75 orbital block and an 11F74 VA landing apparatus (derived from the Apollo-type capsule he had designed for his LK-1 circumlunar spacecraft). Launch of the re-entry capsule with the cosmonauts would eliminate the need for the Soyuz 7K-TK ferry under development by Kozlov. 1967 July 31 - . Meeting of space programme management in the Crimea. - . Nation: Russia. Program: Almaz. Spacecraft: Almaz OPS, Soyuz OB-VI. Two planning documents are discussed. The first deals with the training of civilian cosmonauts. Two phases of training are planned, the first phase at MOM institutes and Minzorar, the second at TsPK and the VVS. In addition 50 new air force pilots will be identified for space duty in three groups in 1968, 1969, and 1970. They will be ready for the planned large number of 7K-VI and Almaz flights beginning in 1972. Brezhnev would like to see more Voskhod flights. Meanwhile Titov has qualified as a test pilot third class, and will qualify as second class by the end of the year. All in all, things are looking good in the years ahead. 1967 August 14 - . Almaz space station schedule approved. - . Nation: Russia. Spacecraft Bus: Almaz. Spacecraft: Almaz OPS. Central Committee of the Communist Party and Council of Soviet Ministers Decree 'On schedule of work on the Almaz space station' was issued..
1967 September 11 - . Kamanin reviews military space plans for the period 1968-1975. - . Nation: Russia. Program: Almaz. Spacecraft: Almaz OPS, Soyuz 7KT-OK, Soyuz VI, Spiral OS. The first military combat space units are to be formed - for operations with the 7K-VI and Almaz spacecraft, together with subsidiary Soyuz transport and training flights..
1967 September 13 - . Kamanin continues work on the 8-year plan for military space. - . Nation: Russia. Program: Almaz. Spacecraft: Almaz OPS, Soyuz 7KT-OK, Soyuz VI, Spiral OS. The general staff's space plans are impressive - in 1968-1975 they foresee no less than 20 Almaz space stations, 50 military 7K-VI missions, 200 Soyuz training spacecraft flights and 400 Soyuz space transport flights. This is based on the assumption that the crew of the military space stations will have to be rotated every 15 days. That will require 48 transport spacecraft per year, implying not less than 30 ready crews with 3 cosmonauts in each crew (this in turn implies each each cosmonaut will fly a space mission 1.5 times per year). Since supplies will have to be delivered to the stations, that will require another 200 additional transport spacecraft launches. And all of this is aside from civilian Soyuz flights, L1, L3, and various other civilian spacecraft - implying a total of 1000 launches in the period. This will require 800 Soyuz-class launch vehicles, 100 Protons, and 10 to 12 N1 boosters. The inevitable conclusion for Kamanin is that most of the transport launches should be made by a reusable winged spacecraft, air-launched from an An-22 heavy transport. This is the goal of the Spiral project. By 1975 Kamanin sees a requirement for 400 active cosmonauts, organised in two to three aerospace brigades, supported by10 aviation regiments, and including the TsPK training centre -- altogether 20,000 to 25,000 men. 250 million roubles will be needed to build new aerodromes and facilities alone, all chargeable to the VVS. Total cost will run into tens of billions of roubles per year. 1967 November 30 - . Almaz program review. - . Nation: Russia. Related Persons: Afanasyev, Sergei, Chelomei, Gagarin, Mishin, Pashkov. Program: Almaz. Spacecraft Bus: Almaz. Spacecraft: Almaz OPS. Gagarin is at the Chkalov Airfield, in preparation for his solo flight in a MiG-17. This will be his first solo aircraft flight in seven years. Kuznetsov tried to keep this day from coming. 1967 December 8 - . TsKBEM confirms Mishin's decision to cancel Soyuz VI - . Nation: Russia. Related Persons: Bushuyev, Chelomei, Feoktistov, Gaidukov, Karas, Kerimov, Mishin, Okhapkin, Shcheulov. Program: Almaz. Spacecraft: Almaz OPS, LK-1, Soyuz 7K-S, Soyuz OB-VI, Soyuz VI. 1968 January 27 - . Cosmonauts take case against Mishin to VVS high command. - . Nation: Russia. Related Persons: Afanasyev, Sergei, Belyayev, Chelomei, Gagarin, Leonov, Mishin, Popovich, Titov, Ustinov. Program: Lunar L1, Almaz. Spacecraft: Almaz OPS, Soyuz VI. 1968 February 8 - . VVS officers inspect TsPK. - . Nation: Russia. Related Persons: Nikolayev, Popovich. Program: Lunar L1, Lunar L3, Almaz. Spacecraft Bus: Almaz. Spacecraft: Almaz OPS. It is currently organised in three cosmonaut detachments: Nikolayev commands the first detachment, which is training for L3, L1, and Soyuz fiights. Popovich commands the second, training for Almaz and 7K-VI military space missions. Nikeryasov commands the third, which is the 'observer' detachment. 1968 March 7 - . Soyuz parachute recertification holding up all manned programs. - . Nation: Russia. Related Persons: Mishin, Tkachev. Program: Soyuz, Lunar L1, Lunar L3, Almaz. Spacecraft: Almaz OPS, Soyuz 7K-L1, Soyuz 7K-LOK, Soyuz 7K-OK.
Mishin certified to MAP on 5 March that the Soyuz parachute system development is complete, but Tkachayev has dissented, saying that the system was unreliable and overweight (this from the same chief designer that certified the previous design as having an 0.999 reliability!). The parachute trials will not be finished until May - meaning there will be no manned Soyuz launch in April. This problem is holding up the L1, L3, and Almaz projects as well. 1968 December 26 - . Heated arguments over technical approach of Soviet space systems - . Nation: Russia. Related Persons: Beregovoi, Mishin, Mnatsakanian, Severin, Shatalov. Program: Lunar L1, Soyuz, Almaz. Flight: Apollo 8. Spacecraft: Almaz OPS, Soyuz 7K-L1, Soyuz 7K-LOK, Soyuz 7K-OK, Soyuz 7K-S, Soyuz OB-VI, Soyuz VI. 1969 March 20 - . Launch Vehicle: N1. Soviet of military officers meets to review manned space plans. - . Nation: Russia. Related Persons: Beregovoi. Program: Lunar L3, Lunar L1, Soyuz, Almaz. Spacecraft: Almaz OPS, LK, Soyuz 7K-L1, Soyuz 7K-LOK, Soyuz 7K-OK, Soyuz OB-VI, Spiral OS. 1969 May 10 - . Military space research plans - . Nation: Russia. Related Persons: Kutakhov. Program: Lunar L3, Lunar L1, Soyuz, Almaz. Spacecraft: Almaz OPS, LK, Soyuz 7K-L1, Soyuz 7K-LOK, Soyuz 7K-OK, Soyuz OB-VI, Spiral OS. Kamanin makes a speech to the VVS Soviet, setting forth again plans for military research in space. His presentation shows how far the USSR is behind the Americans, and the need to regain the lead. He again proposes 10 to 12 military Soyuz flights beginning in the first quarter 1970. This will fill the gap until Soyuz VI and Almaz will begin flying in 1972. Kutakhov is categorically against these Soyuz flights but, under pressure from others, still agrees to form a commission to study the matter. Reference is made to a Ministry of Defence decree of 7 January 1969. 1969 August 1 - . LV Family: Proton. Launch Vehicle: Proton-K/D. The DOS Conspiracy begins - . Nation: Russia. Related Persons: Chelomei, Mishin. Program: Lunar L3, Almaz, Salyut. Spacecraft: Almaz OPS, LK, MKBS, Soyuz 7K-LOK. With the collapse of the work on the N1, the whole reason for Mishin's design bureau's existence simply vanished in the air. A new high-priority project was needed. Korolev had begun development of a Multi-Module Space Base (MKBS) before 1966. However MKBS was to be launched by the N1; as long as this was not available, there would be no MKBS. Almaz on the other hand did not require a new launch vehicle, although the UR-500 was in a period of intense 'baby sickness'. So while TsKBEM was in a period of analysis and instability, Chelomei's Reutov and Fili facilities were building space stations for the Ministry of Defence. On one of these August 1969 days, three of Chelomei's TsKBM engineers came to the office of Mishin's deputy, Chertok, with a plan to get a space station orbited before the American Skylab. They wanted a collaboration between the two competing design bureaux. Their plan was to take an Almaz spaceframe, install Soyuz systems, add a new docking tunnel with a hatch to reach the interior, and presto - a space station was finished. Tentative discussions with potential allies within Chelomei's design bureau found support there as well. The DOS 'long-duration orbiting station' was the result of this 'conspiracy'. 1969 October 19 - . DOS Conspiracy briefed to wide circle of space planners - . Nation: Russia. Related Persons: Afanasyev, Sergei, Bushuyev, Chelomei, Feoktistov, Keldysh, Mishin, Semenov, Serbin, Tyulin, Ustinov. Program: Lunar L3, Almaz, Salyut. Spacecraft: Almaz OPS, LK, Salyut 1, Soyuz 7K-LOK. In the euphoria after the return of the Soyuz 6/7/8 crews, the problem was how to get Ustinov to meet further with the DOS 'conspirators'. Mishin had prohibited any meetings by TsKBEM staff with the Communist Party Secretary unless Mishin was also present. Another obstacle was that Feoktistov was not a party member; how could his presence at a party meeting be explained to Mishin later? 1969 December 1 - . LV Family: Proton. Launch Vehicle: Proton-K.
First flight Almaz station close to completion - . Nation: Russia. Program: Almaz. Class: Manned. Type: Manned space station. Spacecraft Bus: Almaz. Spacecraft: Almaz OPS. Ten stations 'in advanced stage of completion' by end of year..
1969 December 6 - . The DOS Conspiracy in the open - . Nation: Russia. Related Persons: Afanasyev, Sergei, Chelomei, Kuznetsov, Viktor, Mishin, Pilyugin, Ryazanskiy, Ustinov. Program: Almaz, Salyut. Spacecraft: Almaz OPS, Salyut 1, Soyuz 7K-S, Soyuz 7KT-OK.
1969 December 26 - . Launch Vehicle: N1. DOS formally authorised - . Nation: Russia. Related Persons: Chelomei, Glushko, Kuznetsov, Mishin, Ustinov. Program: Lunar L3, Almaz, Salyut. Spacecraft: Almaz OPS, Salyut 1. Ustinov called the DOS 'conspirators' to Kuibyshev Street. Mishin was sent away to Kslovodsk and Chelomei and Glushko were not invited. No one wanted to listen to any more of Glushko's diatribes about Kuznetsov's engines. Ustinov supported presentation of the DOS concept to the Central Committee. Chelomei categorically opposed DOS and was trying to kill it through military channels. But the allure of an '18 month' station - one which would not only beat the American Skylab, but be in space in time for the 24th Party Congress - seemed too alluring. Mishin also rejected DOS, but deputies at both design bureaux supported the concept and were eager to proceed. DOS was therefore created only when the moon project failed. Chelomei was forced to work on DOS, and it severely impacted Almaz schedules. 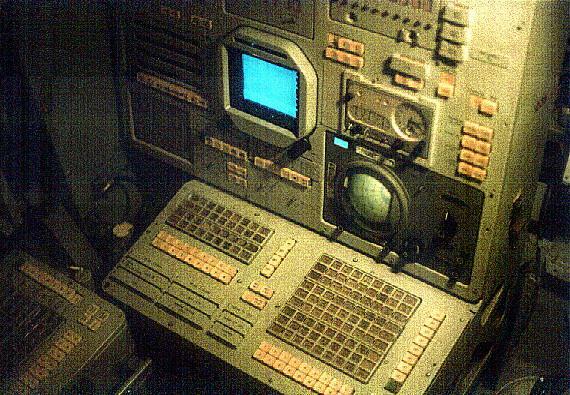 The Salyut name was later applied to both the DOS and Almaz stations, creating the impression in the outside world that they were built by one designer. 1970 January 19 - . Soviet leadership interest in manned spaceflight has collapsed. - . Nation: Russia. Related Persons: Belyayev, Brezhnev, Bykovsky, Chelomei, Mishin, Popovich. Program: Salyut, Almaz, Skylab. Spacecraft: Almaz OPS, Salyut 1, Soyuz 7K-S.
Kamanin notes that interest of the leadership in manned spaceflight has collapsed with the end of the moon race. Brezhnev has declared that his primary interest is in earth orbital space stations. Both Mishin and Chelomei have stations in development, but the work is progressing slowly. There will be no launch of either of their projects until 1972 - which means the Soviets will be beaten by the US Skylab. Kamanin believes the Americans can never be beaten in space unless all space projects are guided firmly by a single Ministry of Defence and Civilian Space office. Meanwhile the Hong Kong flu epidemic is hitting many at the cosmodrome - Moroz, Popovich, and Bykovsky are all seriously ill.
1970 February 1 - . LV Family: Proton. Launch Vehicle: Proton-K.
Space station programs rationalised. - . Nation: Russia. Related Persons: Chelomei, Mishin. Program: Almaz. Class: Manned. Type: Manned space station. Spacecraft: Almaz OPS, Salyut 1, Soyuz 7K-S, Soyuz OB-VI. Brezhnev orders a cooperative crash program to build a civilian space station to beat Skylab into orbit. The civilian station (later named Salyut) will use the Almaz spaceframe fitted out with Soyuz functional equipment. Mishin's OIS military station was cancelled and Chelomei's Almaz would continue, but as second priority to the civilian station. 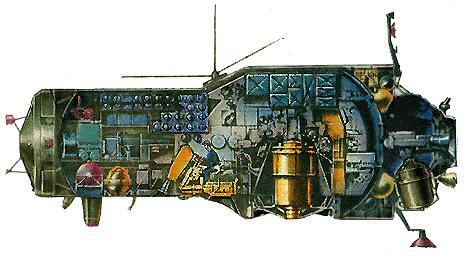 The Soyuz 7K-S station ferry, the 7K-ST, would be revised to be a more conservative modification of the Soyuz 7K-OK. The OIS cosmonaut group was incorporated into the Almaz group. 1970 February 9 - . Salyut project begins. - . Nation: Russia. Spacecraft: Almaz OPS, Salyut 1, Soyuz 7K-T. Ministry of General Machine Building (MOM) Decree 105-41 'On creation of the DOS using Almaz as a basis' was issued..
1970 February 16 - . Salyut crash program authorised. - . Nation: Russia. Spacecraft: Almaz OPS, Salyut 1, Soyuz 7K-T. Decree 57ss 'On creation of the DOS using Almaz as a basis' was issued..
1970 February 28 - . Failure to achieve space objectives in Five-Year Plan - . Nation: Russia. Program: Soyuz, Lunar L1, Lunar L3, Almaz. Spacecraft: Almaz OPS, Soyuz OB-VI, Soyuz VI. Kamanin is asked to assist in preparation of the next five-year plan for spaceflight (1971-1975). He muses that nothing that was to be accomplished in the last five-year plan was achieved, so what is he supposed to put in the new one? 1966-1971 was supposed to have seen Soviet manned flybys and landings on the moon; a cosmonaut contingent increased to 140 and cadres in training for military missions on the Soyuz VI and Almaz. None of this was achieved, and the cosmonaut corps actually only numbers 97. 1970 August 7 - . Almaz program review. - . Nation: Russia. Spacecraft Bus: Almaz. Spacecraft: Almaz OPS. Work has been underway for 5 to 6 years. The decree of the Communist Party/Ministry of Defence of 16 June 1970 finally set forth a firm flight schedule: first trials flight in fourth quarter 1971; all flight trials to be completed by the end of 1972; the design to be accepted for military service in 1973. Priorities are provided to the program that will allow VVS institutes and forces to support this schedule. The Institute of Aviation and Space Medicine (IAKM) will be especially involved in biomedical issues. 1970 September 23 - . Cosmonaut training plans. - . Nation: Russia. Related Persons: Bogomolov, Bykovsky, Mishin, Popovich. Program: Salyut, Almaz, Lunar L3. Spacecraft: Almaz OPS, Soyuz Kontakt, Spiral OS. The training plan for DOS#1 is reviewed. The station is to be launched by February 1971. Soyuz 10 and Soyuz 11 will dock with it and crew the station for two to three months, according to Mishin's plan. This however will slow down flight test of Bogomolov's Kontakt docking system for the L3. This was to have been ready by January 1970, but it is still not ready for flight. On the other hand, the completion of the DOS station within four to five months is not possible. There are currently 12 cosmonauts in training for DOS, and ten for Soyuz flights. Popovich heads a group of 22 cosmonauts training for Almaz; and Bykovsky heads a group on lunar issues. The new trainers and simulators are on schedule; the existing ones are being heavily used. 1970 October 6 - . Cosmonaut training centre status. - . Nation: Russia. Program: Salyut, Almaz, Lunar L3. Spacecraft: Almaz OPS, Spiral OS. Kamanin reviews the work of the training centre in 1970-1971. There are 12 cosmonauts training for DOS missions; 22 for Almaz; 5 for Spiral; and a 'group' for the L3. They have flown 5000 flight hours in jet trainers. During the last two years Kamanin has increased the number of trainers and simulators available; achieved 100% of the training plan; and met the physical training requirements (all cosmonauts must accomplish a 10 km run). 1970 October 28 - . Chelomei's 'war' with Korolev and Mishin - . Nation: Russia. Related Persons: Afanasyev, Sergei, Chelomei, Mishin, Serbin, Smirnov. Program: Almaz, Salyut, Lunar L1. Spacecraft: Almaz OPS, LK-1, Salyut 1, Soyuz 7K-L1. Kamanin meets with Chelomei. Chelomei discusses his 'war' with Korolev and Mishin. Korolev interfered with, and then finally took the manned lunar flyby project from Chelomei. Now Mishin is doing the same thing with Almaz. Chelomei had already invested five years in development of Almaz, and was on the way to producing a good space station. Then Mishin pushes him out of the way and seizes his production line to build the DOS-7K. DOS#1 is actually Almaz#5, nothing more than a bad copy of Chelomei's station. Serbin and Smirnov do not trust Mishin, which is why they have only authorised him to build four DOS stations. Serbin, Smirnov, and Afanasyev have visited Chelomei, and told him to accelerate work on the Almaz, using three shifts 24 hours a day. Kamanin notes the second hijacking in Turkey of a Soviet airliner in the last two weeks. 1970 November 17 - . Indecision on DOS profile; Almaz station accelerated. - . Nation: Russia. Related Persons: Khrunov, Kutakhov, Mishin, Shatalov, Volynov, Yeliseyev. Program: Almaz, Salyut. Spacecraft: Almaz OPS, Salyut 1. It is decided to send only Volynov and Khrunov to the FAI Congress in India. Shatalov and Yeliseyev are too busy with training on the DOS-7K simulator. Luna 17 has landed on the moon with the Lunokhod lunar rover, another success. DOS#1 is behind schedule for the planned 5 February 1971 launch. It still has not been decided, which will launch first - Soyuz 10 or the DOS station. Such indecision makes it very difficult to train the crews! The simulators for Soyuz, L3, DOS, and Almaz are all now in full use for crew training. Kamanin discusses with engineers construction of a pool for EVA training (25 m wide and 12 m deep). Kutakahov is opposed to the project. Chelomei has been ordered to accelerate the first Almaz launch to 1972, if he can resist the continuous attacks by Mishin. Mishin has become very accomplished, on the N1/L3 program, in spending huge amounts of money with no result. 1970 November 27 - . VVS considers role in space. - . Nation: Russia. Related Persons: Nikolayev, Sevastyanov, Tereshkova. Program: Almaz. Spacecraft: Almaz OPS, Spiral OS. The leaders of the VVS meet to consider the role of the Air Force in space and Kamanin's draft resolution. Frolov wants to form a VVS regiment for Almaz operations. Molzhavtsev wants to emphasize full use of unmanned satellites for support of the VVS (communications, navigation, reconnaissance). Later in the meeting V V Kuznestov discusses with Kamanin plans for a planned Nikolayev-Tereshkova-Sevastyanov trip to Egypt in January 1971. It has to be planned around opening ceremonies for the Aswan Dam. 1970 December 2 - . Grechko blocking Spiral program. - . Nation: Russia. Related Persons: Dementiev, Grechko, Andrei, Kutakhov. Program: Almaz, Salyut. Spacecraft: Almaz OPS, Spiral OS. Kutahkov is now Kamanin's direct superior; Efimov has been sent to a command in Cairo. Two An-22 heavy-lift transports have crashed in Pakistan and the Atlantic (en route to Chile). Kamanin meets with Dementiev and Kazatov at MAP. DOS-7K and Almaz simulator problems and the Spiral spaceplane project are discussed. There is not even a firm program plan for Spiral. Dementiev says this is because of the coolness of Grechko and Kutakhov to the subject. They block any discussion of the matter by the Central Committee. Grechko has written on Spiral - 'this is a fanatasy. We must spend money on more concrete items'. 1970 December 9 - . Funds allocated to Cosmonaut Training Centre only a fraction of what is needed. - . Nation: Russia. Program: Almaz, Salyut. Spacecraft Bus: Almaz. Spacecraft: Almaz OPS. 1970 December 17 - . Public information policy for DOS/Almaz discussed. - . Nation: Russia. Related Persons: Mishin. Program: Almaz, Salyut. Spacecraft Bus: Almaz. Spacecraft: Almaz OPS. Plans for secrecy, public information policy, and arrangements for the upcoming DOS and Almaz space station flights are discussed..
1970 December 30 - . Spacecraft simulator review. - . Nation: Russia. Related Persons: Darevskiy. Program: Almaz, Salyut, Lunar L3. Spacecraft: Almaz OPS, LK, Salyut 1, Soyuz 7K-LOK. Trainer review with S G Darevskiy. It is estimated that the trainers only meet 25% to 30% of the total training needs of the cosmonauts. In the next year Kamanin wants Darevskiy to exert 75% of his effort on the Almaz simulator, 20% on the DOS-7K, and only 5% on the L3. Mishin wants zero effort on Almaz, 70% on DOS-7K, and 30% on the L3. 1971 January 9 - . VVS Reviews TsKBM Facilities and Programs - . Nation: Russia. Related Persons: Chelomei, Mishin, Ustinov. Program: Almaz, Salyut. Spacecraft: Almaz OPS, Salyut 1. The VVS leadership visits Chelomei's facility at Reutov. Kamanin recalls first seeting the Almaz mock-up five years earlier - it was already fully defined then. But it was only in August 1970 that a resolution was issued setting a firm schedule: Chelomei was to start flight trails in the second half of 1971, and the station was to enter service in 1972. Mishin is proposing to cancel Almaz and build 10 DOS stations instead. Mishin currently supervises five design bureaux, 60,000 workers, and is working on Soyuz, 7K-S, L3, DOS-7K, and a very few other projects. Chelomei has only one design bureau and 8,000 workers. Yet he has produced well-designed, mass-produced cruise missiles for the Navy, over 1,000 ICBM's for the RVSN, and the high-quality UR-500 Proton launch vehicle. Almaz could have flown on time if Ustinov had allowed Chelomei just 10% of the resources he has let Mishin squander on DOS. Chelomei easily agrees with the VVS to a mutual schedule for Almaz crew training, crew composition, etc. The contrast with the argumentative Mishin couldn't be greater. 1971 January 20 - . Mishin pushing 'Big Orbital Station'. - . Nation: Russia. Related Persons: Chelomei, Kozlov, Mishin. Program: Almaz, Salyut. Spacecraft: Almaz OPS, MKBS. Mishin is attempting to set up a separate training centre for civilian cosmonauts at the Moscow Aviation Institute. Mishin and the civilian cosmonauts come to view the TsPK premises to get ideas. This is a new attack by Mishin, in Kamanin's eyes. Mishin has been ill for a long time, but it doesn't stop him from meddling in the details of work of his deputies. Now they are working on a Big Orbital Station (BOS) for 9-12 crew. This amounts to nothing more than a new move against Chelomei. Mishin is intent on monopolising manned spaceflight at any cost. He attempts to take over any other such projects allocated to Chelomei or Kozlov. 1971 February 27 - . Mishin plans to get Almaz cancelled. - . Nation: Russia. Related Persons: Chelomei, Karas, Kutakhov, Mishin. Program: Almaz, Salyut. Spacecraft: Almaz OPS, Salyut 1, Spiral OS. Kamanin has a meeting scheduled with Chelomei, but this is cancelled and he is called to another meeting with Mishin -- all to advance Mishin's agenda. Mishin complains that he doesn't know what the Almaz project is about. He claims Chelomei has spent half a billion roubles so far, and has nothing to show for it. Mishin, on the other hand, has two DOS stations ready to fly, done at a cost of only 80 million roubles. But Kamanin knows very well who has really wasted hundreds of millions of roubles - Mishin. Mishin produces his plans for DOS#3 and DOS#4 follow-on stations. These are to be copies of Almaz, delivered in 18 months. Mishin says he is building ten 7K-S for the spacecraft, despite the fact that Karas at GUKOS is not interested in manned spaceflight. Afterwards Kamanin tells Kutakhov to warn Chelomei that he must support the VVS' 7K-S and Spiral projects, if he wants VVS support for Almaz. 1971 April 15 - . Launch Vehicle: N1. Salyut preparations - . Nation: Russia. Related Persons: Chelomei, Mishin. Program: Lunar L3, Salyut, Almaz. Spacecraft: Almaz OPS, MKBS, Salyut 1. The Salyut station was prepared in a huge two story bunker built for launch vehicle / payload processing. The contrast between the money lavished by the military on this facility for Chelomei's projects and the limited funds available for a proper N1 preparation and test facilities was enormous. Here funds were available without limit. The air was controlled by a self-contained environmental control system with its own independent electrical-diesel generators. The facility was a miracle. It was shocking that this was made available for Almaz, while the military told Mishin that he would have to prepare the immense MKBS station in the uncontrolled environment, subject to frequent power blackouts, of the N1 facility. At Chelomei's facility, everything was completely checked out on earth prior to launch. 1972 June 15 - . LV Family: Proton. Launch Vehicle: Proton-K.
Almaz / TKS project rescheduled. - . Nation: Russia. Spacecraft: Almaz OPS, Almaz OPS-2, TKS. Ministry of General Machine Building (MOM) Decree 'On schedule of work for the Almaz and TKS programs' was issued..
1972 December 31 - . LV Family: Proton. Launch Vehicle: Proton-K.
Brezhnev selects Almaz for next space station - . Nation: Russia. Program: Almaz. Class: Manned. Type: Manned space station. Spacecraft Bus: Almaz. Spacecraft: Almaz OPS. Brezhnev personally selects Almaz for next space station launch. Following two successive failures of DOS-7K station (Salyut 1 and the July 29, 1972 launch failure), Brezhnev personally selects Almaz for next launch (Salyut 2)..
1973 April 3 - . 09:00 GMT - . Launch Site: Baikonur. Launch Complex: Baikonur LC81/23. LV Family: Proton. Launch Vehicle: Proton-K.
Salyut 2 - . Payload: Almaz s/n 101-01. Mass: 18,500 kg (40,700 lb). Nation: Russia. Agency: MOM. Program: Almaz. Class: Manned. Type: Manned space station. Spacecraft Bus: Almaz. Spacecraft: Almaz OPS. Duration: 54.62 days. Decay Date: 1973-05-28 . USAF Sat Cat: 6398 . COSPAR: 1973-017A. Apogee: 248 km (154 mi). Perigee: 216 km (134 mi). Inclination: 51.60 deg. Period: 89.10 min. The first flight of the Almaz manned military space station. In January 1973 the first Almaz OPS was delivered to Baikonur. Launch and initial orbital checkout went according to plan. But before a crew could be launched the station depressurized. It was concluded that a short in electrical equipment started a fire in pressure vessel, leading to rupture of hull and depressurization. An alternate theory was that debris from an explosion of the third stage of Proton penetrated the hull. Control was lost on April 25, 1973, and the OPS cased operations on 29 April. Decayed May 28, 1973. Initial crew was to have been Popovich and Artyukhin. 1974 June 24 - . 22:38 GMT - . Launch Site: Baikonur. Launch Complex: Baikonur LC81/23. LV Family: Proton. Launch Vehicle: Proton-K.
Salyut 3 - . Payload: Almaz s/n 101-02. Mass: 18,500 kg (40,700 lb). Nation: Russia. Agency: MOM. Program: Almaz. Class: Manned. Type: Manned space station. Spacecraft Bus: Almaz. Spacecraft: Almaz OPS. Duration: 90.00 days. Decay Date: 1975-01-24 . USAF Sat Cat: 7342 . COSPAR: 1974-046A. Apogee: 253 km (157 mi). Perigee: 213 km (132 mi). Inclination: 51.60 deg. Period: 89.10 min. 1976 January 19 - . Almaz / TKS flight tests approved. - . Nation: Russia. Spacecraft: Almaz OPS, Almaz OPS-2, TKS. Central Committee of the Communist Party and Council of Soviet Ministers Decree 46-13 'On course of work on Almaz and the TKS' was issued..
1976 June 22 - . 18:04 GMT - . Launch Site: Baikonur. Launch Complex: Baikonur LC81/23. LV Family: Proton. Launch Vehicle: Proton-K.
Salyut 5 - . Payload: Almaz s/n 103-01. Mass: 19,000 kg (41,000 lb). Nation: Russia. Agency: MOM. Program: Almaz. Class: Manned. Type: Manned space station. Spacecraft Bus: Almaz. Spacecraft: Almaz OPS. Duration: 411.24 days. Decay Date: 1977-08-08 . USAF Sat Cat: 8911 . COSPAR: 1976-057A. Apogee: 232 km (144 mi). Perigee: 215 km (133 mi). Inclination: 51.60 deg. Period: 88.90 min. Second successful flight of the Almaz manned military space station. It had taken only 60 days and 1450 man-hours to prepare Almaz 0101-2 for flight, using the services of 368 officers and 337 non-commissioned officers. The tracking ships Academician Sergei Korolev and Cosmonaut Yuri Gagarin were stationed in the Atlantic and Caribean to provide communications when out of tracking range of the USSR. Salyut 5 operated for 409 days, during which the crews of Soyuz 22 and 24 visited the station. Soyuz 23 was to have docked but its long-distance rendezvous system failed. Soyuz 25 was planned, but the mission would have been incomplete due to low orientation fuel on Salyut 5, so it was cancelled. During the flight of Salyut 5 a 'parallel crew' was aboard a duplicate station on the ground. They conducted the same operations in support of over 300 astrophysical, geophysical, technological, and medical/biological experiments. Astrophysics studies included an infrared telescope-spectrometer in the 2-15 micrometer range which also obtained solar spectra. Earth resources studies were conducted as well as Kristall, Potok, Diffuziya, Sfera, and Reatsiya technology experiments. Presumably Salyut 5 was equipped with a SAR side-looking radar for reconnaissance of land and sea targets even through cloud cover. The film capsule was ejected 22 February 1977 (and sold at Sotheby's, New York, on December 11, 1993!). The station was deorbited on 8 August 1977. In addition to the human crew two Russian tortoises (Testudo horsfieldi) and Zebrafish (Danio rerio) were flown. 1977 August 8 - . Salyut 5 Space Station Burnup - . Nation: Russia. Spacecraft Bus: Almaz. Spacecraft: Almaz OPS.